Besides the delicious and sweet taste, lychees can also give you a number of health benefits. Good for the heart: Lychees are full of a high number of antioxidants. These help fight oxidative stress and damage by free radicals. They also have heart-friendly flavanols the chemical oligonol which help the heart function well. 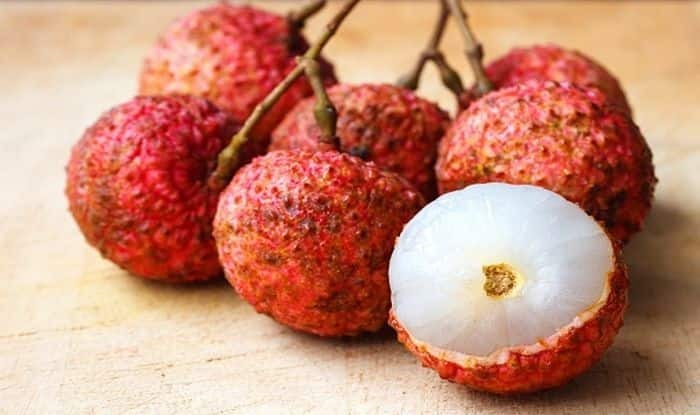 Builds immunity: One of the most important components of lychee is Vitamin C which can help build immunity and prevent infections. If you are susceptible to frequent cough and colds, lychees could be your solution to good health. Promotes healthy skin: Lychees can help you get clear, acne-free skin. Regular consumption of lychees ups the intake of antioxidants in your body which help fight signs of ageing including wrinkles and fine lines. Besides, the high content of Vitamin C helps flush out toxins and clear your blood to give you healthy, glowing skin from within. Reduces the risk of cancer: Lychee is known to have strong cancer-fighting properties because of the presence of flavonoids in them. Research studies have shown that lychee can significantly reduce the risk of breast cancer. Regulates blood pressure: Fruits contain plenty of potassium and very less sodium because of which they are recommended for blood pressure patients. Lychees, too, feature on the list of high potassium, low sodium fruits. There’s about 171 mg of potassium in 100 gms of lychees which helps fulfil your daily recommended intake of potassium. If you have Type 2 diabetes, it is best to consult with your doctor and dietician to find out whether and how many you can eat.